Review - House of Pre-loved and Handmade Fashion : RagsExchange.com | The Shopaholic Diaries - Indian Fashion, Shopping and Lifestyle Blog ! Aren't there times when once in a while we open our closets just to face the reality that how many clothes, accessories or shoes we own that we haven't worn or even taken out ages? But do we actually do something to sort this out? Or don't we just keep adding more and more to that pile of clothes and shoes that we don't seem to be in a mood to take out anytime soon. Well, not anymore as I came across a very exciting and unique website - "RagsExchange.com"- a unique marketplace that is exclusively designed by women for everyday women to buy and sell recycled designer, handmade and vintage fashion. No no, don't worry about things like you will be getting goods which are worn out or ages old as they only accept items that are in a perfect condition and have superior quality. Clothes and accessories here are sold by people around the globe and one can see the details of the seller as well. The cherry-on-the-top is that all the listings are FREE. Users can even list photos for Free ( 5 photos per item ). And did I hear you ask what they gain from these listings?? 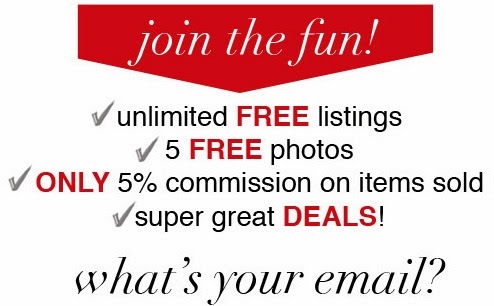 Well they only charge 5% commission on items which get sold - unbelievably low right? Currently, they are also offering users a chance to win $1000 and other goodies simply by signing up for a RagsExchange account. Well, that's not all RagsExchange also runs a cool blog ie. 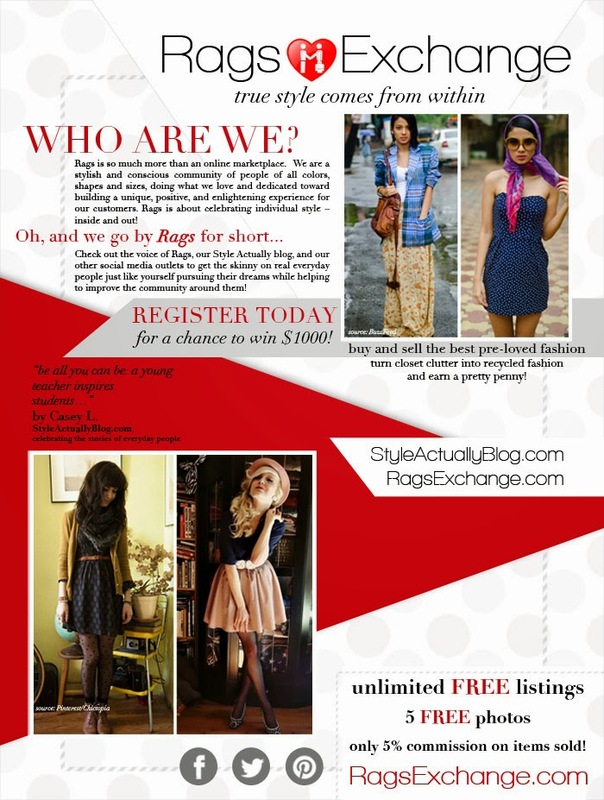 StyleActuallyBlog.com which is devoted to celebrating the unique character of everyday women. The blog believes in celebrating the idea that true style comes from within. And don't we all believe in that too that style is more about your personal choice and comfort. The blog mainly covers fashion but more importantly the unique personal style of trendy people with unique dressing sense. I would totally recommend RagsExchange to shopaholics like me who love hoarding clothes and accessories, but don't know how to declutter their wardrobe and effectively clear out items they don't need anymore.